“Back in the old days, we used to live in nature, side by side with all its element; us human, animals, plants, in harmony”. Elicia Edijanto was born in Jakarta, Indonesia, twenty eight years ago. She has been painting since she was little. 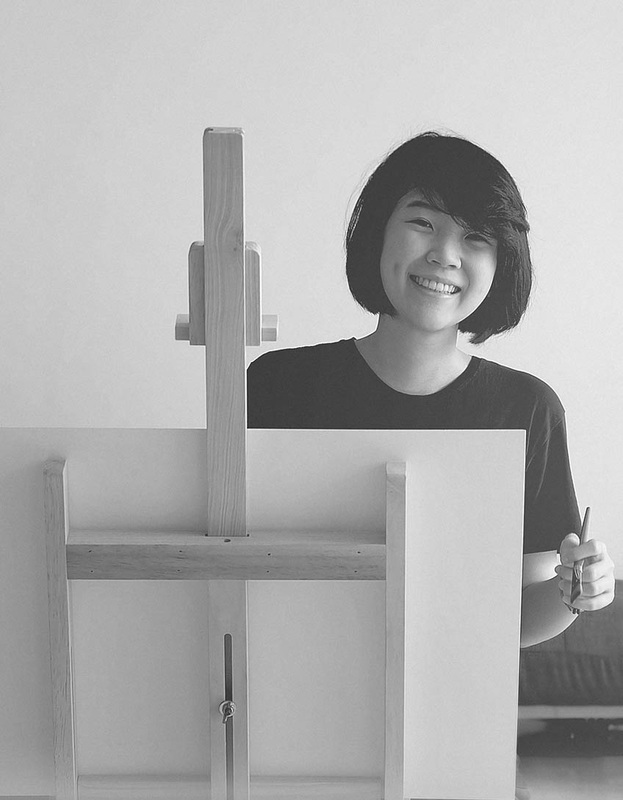 She graduated from Tarumanagara University, majoring in Visual Communication Design, she has been working as graphic designer for years. Computer and digital media are like her daily feed. That’s when she started to feel the longing to paint again, manually, to feel the texture of the paper, canvas, the brush, the wet paint drops, that she decided to go from digital back to traditional. She loves using watercolor because it is light and transparent. As she explains, “although the colours are vibrant, people would not feel like they’re overwhelmed with colors”. She loves the faded effect produced by watercolor as well as working with watercolor because it can always bring about unexpected things, and most of all, there’s no “CTRL Z”. No turning back, just like living our life, keep going on: “You don’t have absolute control when paint is applied to wet paper. Sometimes you just learn to let it flow, make its own shape”. The inspiration behind every piece of her art is one. Nature. Nature is her teacher, her inspiration, her remedy, her divine afflatus! For her, Nature is as true as an old Latin saying, “NATURA NIHIL FRUSTRA FACIT”, means “Nature does nothing in vain”. She also uses children and animal as her subject because they’re honest and sincere. They both have inimitable compassion towards each other. It’s so easy to catch the subtleties in their gestures and expressions because they’re unpretentious. These qualities help her to enhance the particular emotion or mood that she puts in the painting. Nature and painting have become her cathartic release. “Back in the old days, we used to live in nature, side by side with all its element; us human, animals, plants, in harmony. We used to live in balance and complement each other. This thought brings such a calming effect on me, she says. And when I put it in a painting, I feel wonderful peace inside. I want people to feel it too. I want to share this beautiful feeling”. Eventually, her art brings such positive vibes, calmness, and restfulness.